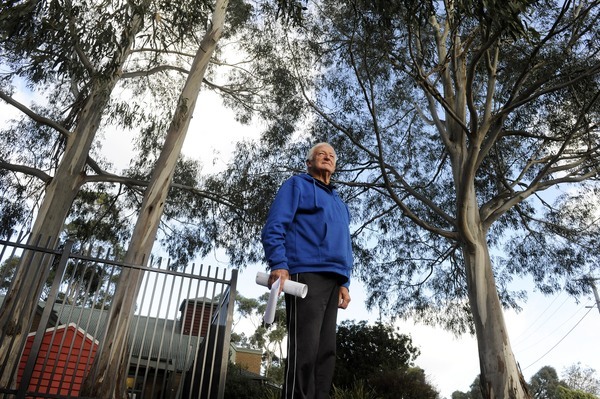 A Blind Bight resident has expressed his concern about some tall gum trees that loom over a community centre. “There’s been quite a few limbs fall of the tree over the years; they’re going to get the kids,” he said. The centre serves as a central point for the coastal villages community including as a childcare service. Casey council’s manager of city presentation David Richardson said the City of Casey will conduct an inspection of the trees at Blind Bight and undertake any remedial works required. 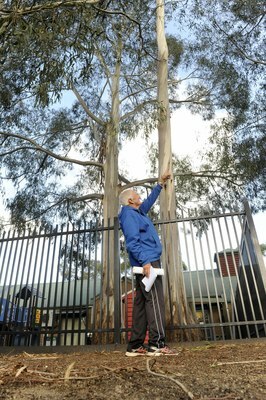 “In March 2017, Council engaged an arborist to inspect the trees in response to resident’s concerns. At this time the trees were found to be ‘low risk’,” he said. Mr O’Connell, who volunteers at the centre doing maintenance work, says he’s pulled out some big branches out of the playground over the years. He said the centre had an arborist assess the trees which were deemed safe but he was not convinced. “It’ll be a hot summer’s day when the branches are going to fall down and I hope it just doesn’t hit one of the kids,” he said. A committee member of the Blind Bight Community Centre, who opted to withhold their name, said she was “dead against” removing the trees. “It is ridiculous. I’m a member of the Australian Plants society and we promote the growth of native flora and fauna and those trees have been there ever since the centre has been built virtually. She said on windy days, children were generally kept indoors, adding the trees were outside the playground and bark only fell on the nature strip. “Apparently they’ve had an arborist out to check them and there’s nothing wrong with them,” she said.